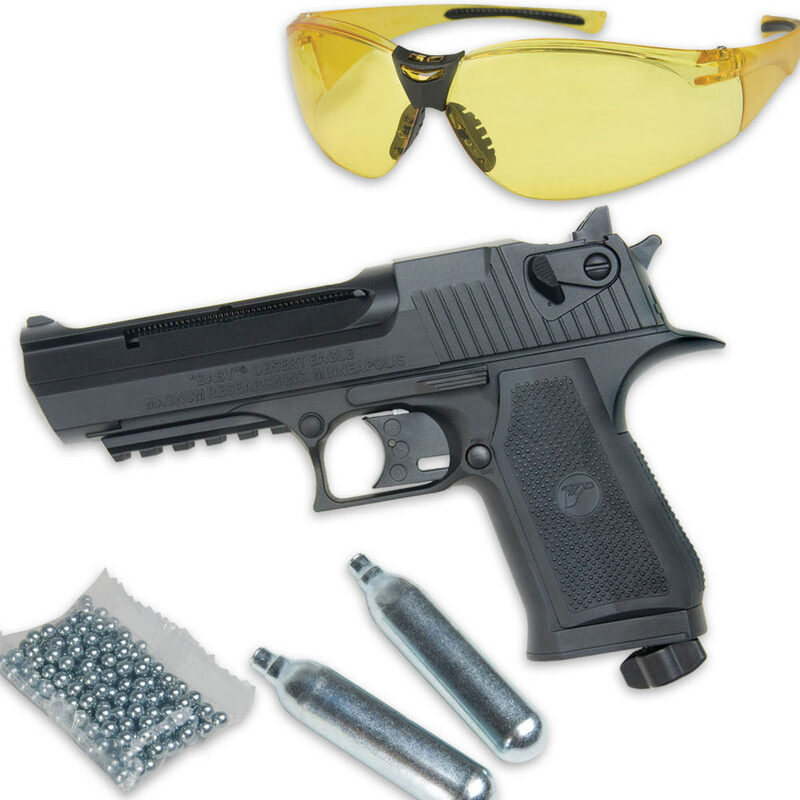 Magnum Baby Desert Eagle CO2 Air Pistol | BUDK.com - Knives & Swords At The Lowest Prices! 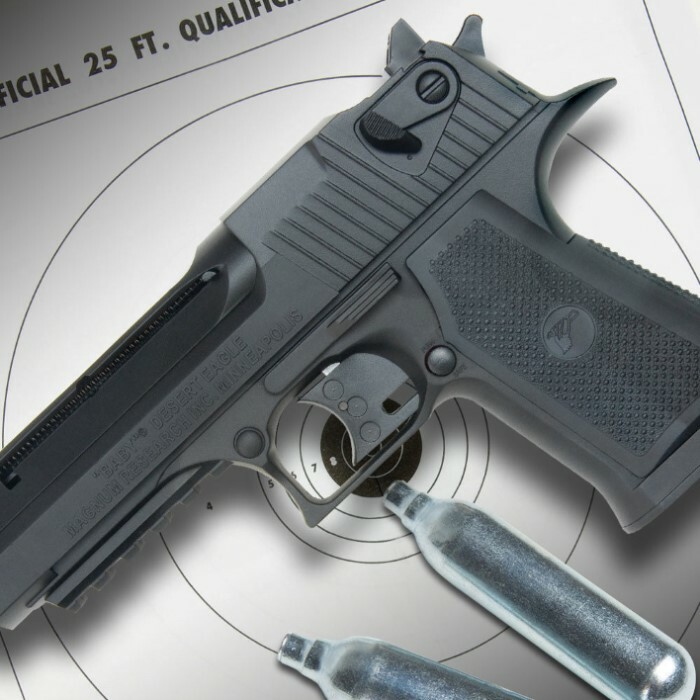 This Magnum CO2 pistol blasts steel BBs at a velocity of 420 fps! With two Picatinny rails, this pistol is loaded with accessory and mounting potential! The Baby Desert Eagle pistol features a 15-shot built in magazine, manual safety, textured grip, double action trigger, fixed front and rear sights and a smooth bone barrel. Includes 250 steel BBs, five targets and two CO2 capsules. Excellent buy. Great for home defense. Easy to use - very accurate.